Are you able to commit to caring for a dog for the next 12 – 14 years? While no one can predict the future, it is important to realize that a dog is a long term commitment. All too many puppies are bought with great enthusiasm only to be given up a year or two later when their owner moves to an apartment, or the baby arrives. Consider your plans for the future, and whether a dog is likely to be a welcome companion for the next decade or more. Do you have the time and resources to adequately train and care for a dog? Dogs cost money. The money you spend purchasing a puppy is just the first of many expenditures… food, regular veterinary care, basic dog equipment, license fees, fencing if you don’t already have it, obedience classes, not to mention the cost of replacing various household items your darling puppy destroys. Dogs also require an investment in time. Dogs are social animals, and once removed from their “pack” to become part of your family, they require daily interaction and companionship. All of this effort and expense will be more than re-paid in the years of devotion your dog will provide. Make a realistic assessment of your budget and interest, however, before investing in a dog. Do you need your dog to work livestock? English Shepherds are capable of working most types of livestock, however particular dogs are likely to be more suited for some jobs than for others. 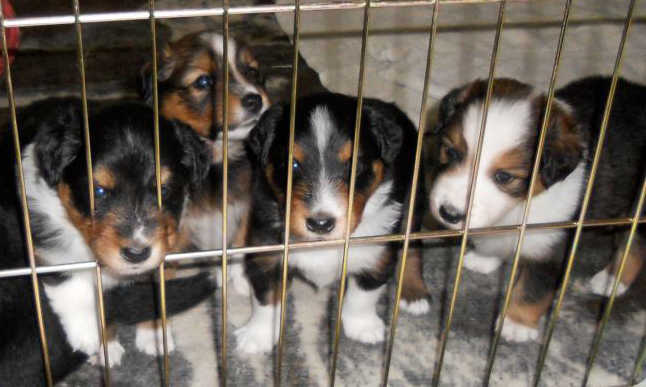 The English Shepherd Club maintains a breeder list, and may be able to help you find an English Shepherd breeder whose dogs work in the manner you require. Are you primarily seeking a companion / pet? Identify your needs. In general, English Shepherds are active and athletic dogs, gentle and devoted with their owner, but bold and determined guardians of the home or farm. They are very alert watchdogs and will exercise their judgment about who and what is acceptable. English Shepherds thrive in an environment with clear, consistent rules and a confident leader. Lacking those, an English Shepherd just might decide to take over and run things himself. There are English Shepherd owners and breeders around the country who would be willing to introduce you to their dogs and discuss their experience with the breed. Here is a list of regional contacts. English Shepherds have been bred as general purpose farm dogs and, as such, will exhibit more variation than many other breeds. Lines within the breed may be more or less gentle, active, and outgoing, depending on the temperament that was best suited for the work at hand. Similarly, different lines may vary physically, particularly in size and amount of coat. It is important to establish what characteristics are best suited for your circumstances and tailor your search accordingly. Choosing a breeder -- Once you have defined your needs and preferences, it is wise to plan to visit several breeders and see their dogs, if possible. 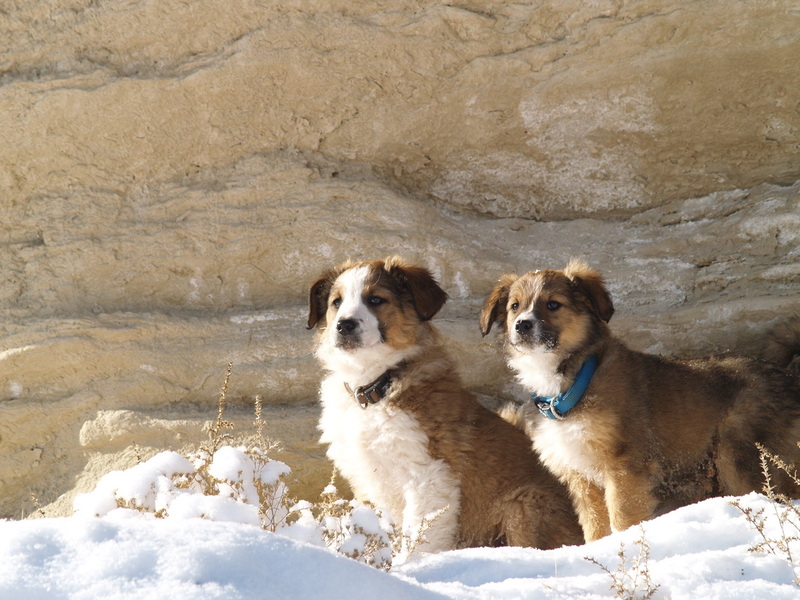 Talking to people who have puppies from previous litters is helpful for determining whether the characteristics of a particular line will match your needs. Most breeders are quite willing to share this information and would rather have a potential buyer walk away than place a puppy in a home that is not a good fit. 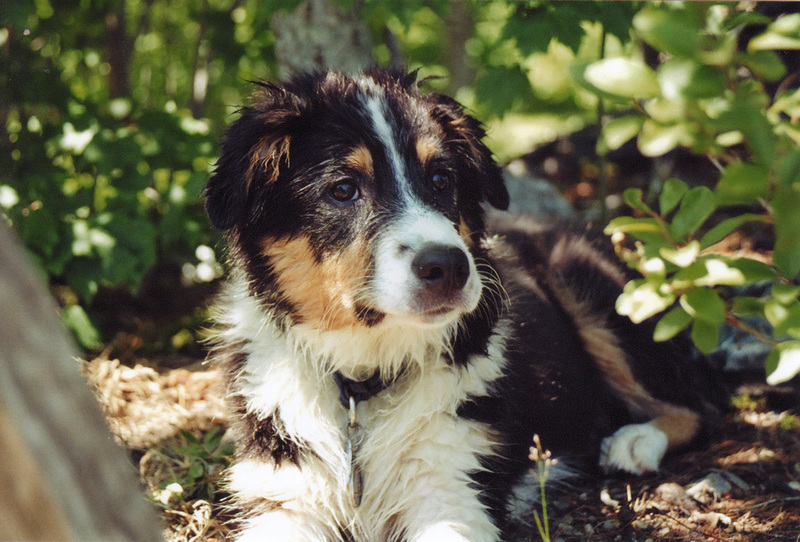 In many areas of the country there are no English Shepherd breeders within a day’s drive. Because of this, many breeders are willing to ship puppies when they reach the appropriate age. Be sure to discuss the same concerns you would during a visit. Mental and physical health and soundness are the most important characteristics of a dog for any purpose. There is always risk involved in breeding – even healthy sound parents can produce a puppy with problems – however attention to temperament and health can stack the odds in your favor. If you are unable to visit the breeder and meet the dogs, certifications such as “Canine Good Citizen”, “Temperament Tested”, or “Therapy Dog” help substantiate a stable temperament. Physical soundness of the parents should be assessed through observation, health history within the particular line, and xrays for hip dysplasia. Hip dysplasia does occur in English Shepherds, and xrays are the only sure way to determine whether parents are affected. 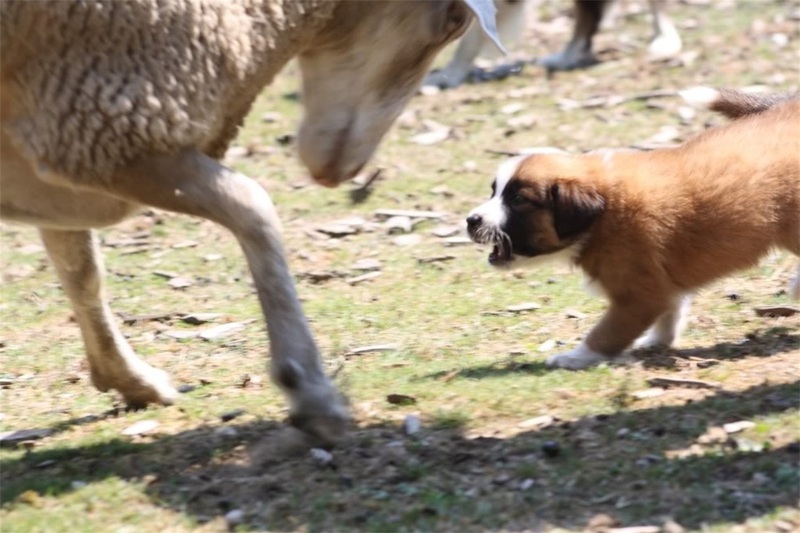 The English Shepherd Club recommends that breeding animals be certified as free from dysplasia by either OFA, PennHIP, or a licensed veterinarian. The breeder lays the foundation for your puppy’s relationship with you, first by ensuring the parents have good temperaments, working ability, and health, and then by handling and socializing the puppies after birth. Even a puppy that comes to you sound and well-socialized has the potential to develop behavior problems, however, if you do not continue your puppy’s training. Help your puppy grow up to be a confident, capable partner by taking the time to socialize and train him to fit into your home and your community. please indicate that the check is for the Puppy Handbook.